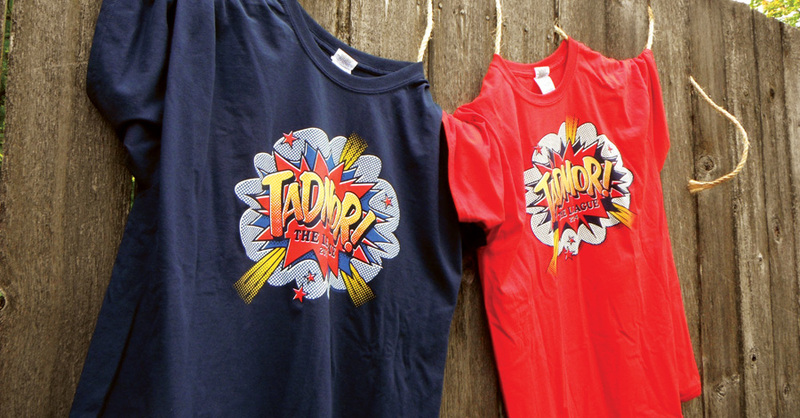 I have enjoyed designing t-shirts for Camp Tadmor for many years through my day job. They have always been great to work for as they are open to a wide variety of styles which means that it's always a fun new challenge each year. This summer their camps will have a super hero theme and we were given the task of designing the shirts that are being given to every camper and camp staff. They gave us the basic idea of explosive pop art comic book type and I ran with it. I really like this style and I hope the kids and staff love it. The navy colored shirts are for the campers and the red are for the staff. I hung these on my back fence yesterday to take this picture. If any of my neighbors saw me they must of been really confused as to what I was doing.